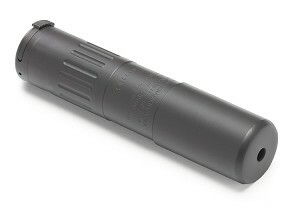 The 556-SD™ is a fast attach silencer for 5.56mm hosts. With a design based on an earlier version of the best selling M4-2000™, the compact and lightweight 556-SD™ offers consumers feature-rich content and excellent value. The 556-SD™ uses the tried and true 51T Ratchet Mount™ fast-attach system that enables users to install or remove the silencer in seconds. Includes 51T 1/2×28 Blackout® Flash Hider Mount. The baffle core of the 556-SD™ features 100% Inconel® 718 and full circumferential fusion welding to provide a lifetime of use under the most demanding conditions.